These are the BEST Glazed Carrots – Lightly sweetened, delicately seasoned, and perfectly glazed. 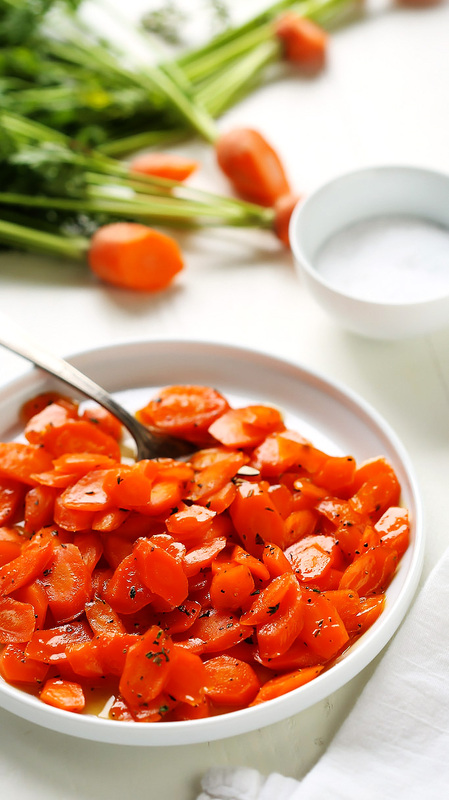 These carrots make an amazing side dish that both kids and adults can’t get enough of! Note: This post was originally published in March 2015 – It has been updated with new photographs but the recipe remains the same. Glazed Carrots bring to mind an expression that I heard used recently – “Dirt Candy”. To me, these glazed carrots are the epitome of what sweets growing from the ground would taste like – Just cooked enough to barely be tender, then finished with a lightly-sweet glaze tinged with lemon, and sprinkled with fresh thyme. The term Dirt Candy was coined by Amanda Cohen and is the name of her NYC Restaurant and her cookbook. Her dishes are all vegetarian and sound amazing! The menu is a true inspiration for anyone trying to get more vegetables into their diet – Grilled and Smoked Broccoli with Kraut and Mustard Barbeque Sauce, Pickled and Jerked Carrots with Peanut Mole Sauce on Carrot Waffles, and Butternut Squash Scallopini with Harissa and Green Chermoula and just a few of their offerings. 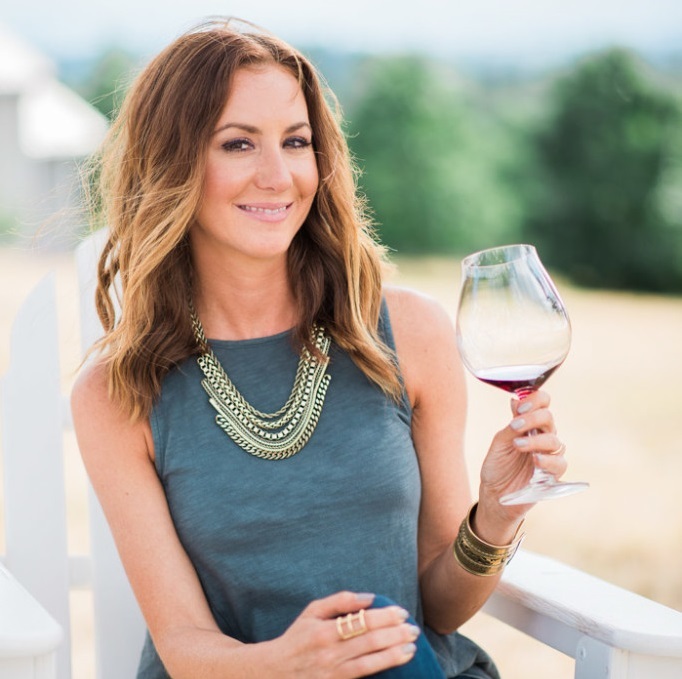 I have never been to her restaurant, but, if I ever make it to NYC – It’s on the list! Anyways… I’m always on the lookout for side dish recipes that can be made simply with vegetables that aren’t super perishable, and can hold up in your fridge for a week. Quite often I’m guilty of putting all of my focus on the main dish, and leaving the vegetables as an afterthought. For that reason, I like to keep the basic, hearty vegetables on hand – Carrots, Broccoli, Brussels Sprouts. All of these vegetables can be roasted or quickly steamed, and they seem to compliment a variety of dishes. This sweet carrots recipe comes together quickly on your stovetop. Bring carrots to boil in chicken stock seasoned with salt and sugar. Simmer for 5 minutes, until barely tender. Remove cover and increase heat to high. Add butter and sprinkle in lemon juice. And… You’re… DONE! Dirt Candy on a plate in under 15 minutes. How’s that for an afterthought? These are the BEST Glazed Carrots - Lightly sweetened, delicately seasoned, and perfectly glazed. 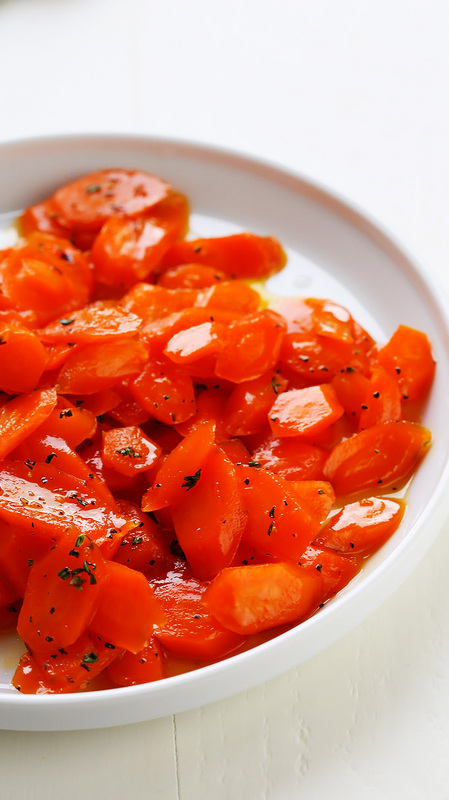 These carrots make an amazing side dish that both kids and adults can't get enough of! Slice the carrots, on the bias, about 1/4 inch thick. Bring the carrots, salt, 1 tablespoon of the sugar, and the chicken broth to a boil in a 12-inch skillet, covered, over medium-high heat. Reduce the heat to medium and simmer, covered, stirring occasionally, until the carrots are almost tender when poked with a fork, about 5 minutes. Uncover, increase the heat to high, and simmer rapidly, stirring occasionally, until the liquid is reduced to about 2 tablespoons, 1 to 2 minutes. Cut the butter into 4 pieces and add it to the skillet along with the remaining 2 tablespoons sugar. Toss the carrots to coat and cook, stirring frequently, until the carrots are completely tender and the glaze is light gold, about 3 minutes. Off the heat, add the lemon juice and minced thyme and toss to coat. If you loved this candied carrots recipe I would appreciate it so much if you would give it a star review! Also, be sure to snap a picture of your finished dish and share it with me on Instagram using the hashtag #platingsandpairings and tagging me @platingsandpairings. These sweet carrots would make a great compliment to this Easy Roasted Chicken or Shake N Bake Pork Chops. That sounds delicious! I was just thinking about carrots on their own as a side dish the other day! Are these good reheated? Was thinking to make them ahead of time for dinner on Saturday and just reheat them. Thanks! Hi Lindsey – I feel like these carrots are best eaten right away. They tend to get a bit too soggy when reheated. Awww – Love this Kristin! Thanks so much for letting me know how much you and the little guy love these carrots! Can baby carrots be sub for long carrots? You sure can! If you leave them whole, they may just take a little longer to get tender. I’m so happy to hear that you both liked them Ali! I wonder if I could substitute brown sugar? That should work Betsy – Sounds delicious! Love them. Easy to make. Lots of flavour!